Capturing very high quality video direct onto a Thunderbolt-based computer system has never been as easy as this. No power supply needed, no speed issues. 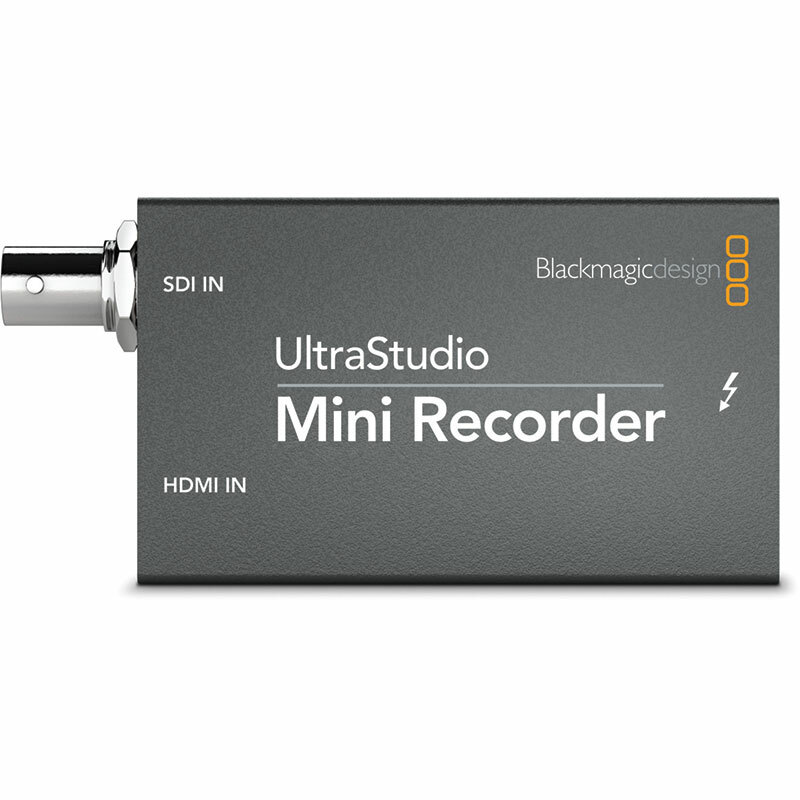 The Blackmagic UltraStudio Mini Recorder captures in your preferred codec and supports Avid Media Composer, Final Cut Pro or Premiere Pro editing programs. If your camcorder is restricted to a 24Mb/s, 35Mb/s or 8-bit 50Mb/s ceiling, the Mini Recorder can record at higher bitrates - including uncompressed - for the best quality pictures and chromakey results. For recording direct to a computer for fast turnaround editing, this is a great and inexpensive solution. The UltraStudio Mini Recorder that fits in the pocket. 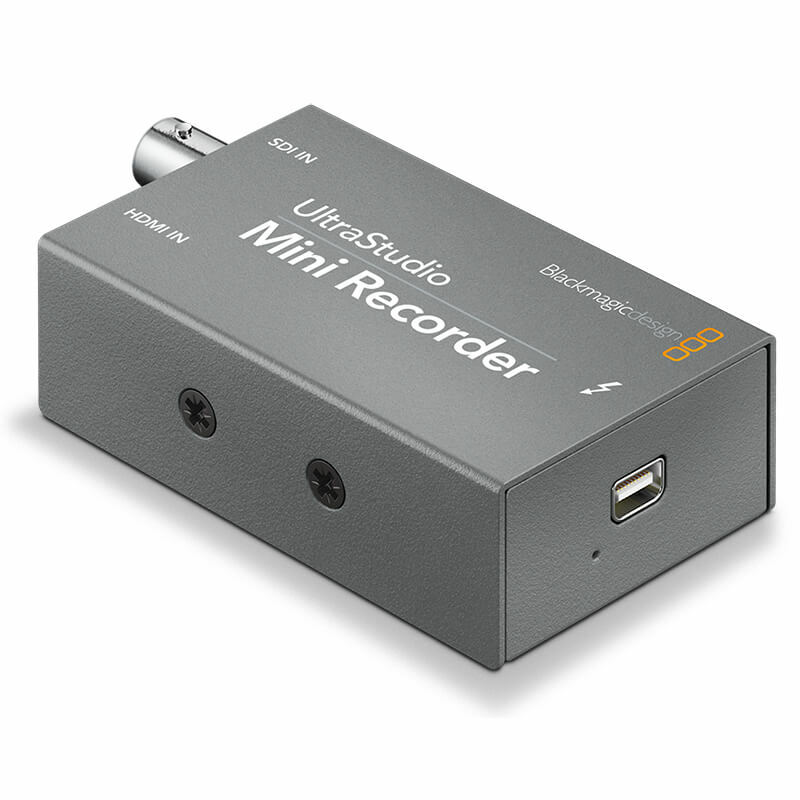 UltraStudio Mini Recorder is super tiny and includes just SDI and HDMI connections, plus Thunderbolt. Simply plug in and record from any SDI and HDMI device for the most incredible portable solution. 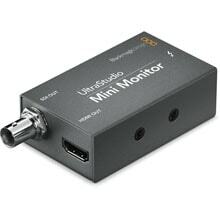 The UltraStudio Mini's are the solution you need when doing SD and HD work that demand quality. If you're editing with Avid Media Composer, Final Cut Pro or Premiere Pro then you get high quality and an extremely portable design, perfect for editing on location. UltraStudio takes care of moving your media in and out of your computer so it's perfect for modern file based workflows. UltraStudio is powered via the Thunderbolt connection so it powers from your laptop battery. UltraStudio Mini Recorder includes only a single HDMI and SDI connection so it's the tiniest way to capture video available. UltraStudio is the perfect capture device for your work now and well into the future. Connect all your I/O devices with SD/HD-SDI, HDMI with 8 channels of embedded audio. SDI and HDMI are fully digital connections and are amazing quality. Built on revolutionary Thunderbolt™ technology, UltraStudio has a blazingly fast 10 Gb/s connection that’s up to 20 times faster than USB 2.0. That’s enough bandwidth to handle the highest resolution video formats easily! Thunderbolt ensures low latency and highly accurate time synchronization, making the UltraStudio ideal for demanding HD work. Thunderbolt also has the power budget to allow UltraStudio to operate from the Thunderbolt connections, so it can operate from your laptop battery, perfect for on location or remote areas. UltraStudio makes it easy to work with all the video formats you need, conveniently on your desktop or notebook computer. Now you can handle any job your client presents to you, from TV to feature films. UltraStudio operates with both compressed and uncompressed video, so it can handle anything and you're not locked into a single codec quality. When working with uncompressed video, all captured images are a perfect pixel-for-pixel clone of the source, without any generational loss or damaging compression, so you have the confidence you’re working at the absolute highest quality possible. Get the sharpest green screens, cleanest compositions, superior colour correction and more! With mature drivers, award winning Media Express software, attractive design, and the highest quality video. UltraStudio Mini models might be low cost, but they include the same advanced video technology that other companies charge tens of thousands of dollars for. 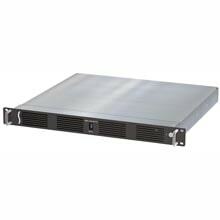 You get low jitter SDI video that meets broadcast specifications and instantly switches between standard definition and high definition. That means you can use it for anything. The included HDMI connections adhere to the latest versions of the HDMI standard so you eliminate HDMI incompatibilities. Both SDI and HDMI include multiple channels of embedded audio as well as ancillary data such as RP-188. Add support for new DeckLink Quad HDMI Recorder. Enable multi-channel configuration on the DeckLink 8K Pro from within Setup Utility. General performance and stability improvements for all models. Improve 2Kp23 DCI output on HDMI. Fix issue where quad-link SDI input or output may be distorted. Fix issue where 3D RGB signals over HDMI may sometimes display incorrectly. Improve compatibility when capturing from Sony Playstation 4. Add Rec. 2020 colorspace support. Add support for HDR metadata packing (ST2108-1), HLG and PQ transfer characteristics (ST2082-10) on SDI. Add support for HDR HLG transfer characteristic on HDMI. Add support for 4Kp25 DCI playback on HDMI. Add support for up to 4 independent I/O channels via the DeckLink SDK. Add support for extra frame rates including 47.95 and 48 fps. Add support for quad-link Sample Interleave signals in UHD and 4K DCI modes. Add support for HDR metadata packing (ST2108-1), HLG and PQ transfer characteristics (ST2082-10). Add support for synchronized capture and playback. Fix issue where audio meters would not update when using a Teranex Mini Smart Panel. Ensure video captured with drop-frame timecode is detected correctly in Adobe Premiere Pro CC. Improve input signal stability with NTSC reference on DeckLink Duo 2. Fix audio corruption issue during capture with DeckLink Duo 2 and DeckLink Quad 2. Enable option to ignore Video Payload ID when capturing 3D video modes on DeckLink 8K Pro. Improve compatibility when capturing audio from Mini Converter UpDownCross on DeckLink Duo 2. Fix issue in Adobe Premiere Pro CC where audio waveform displays would occasionally blink. Ensure option to output quad link SDI is displayed for all quad link capable devices. Address issue affecting playback of 3D dual link SDI video modes. Fix playback issue using DeckLink SDI Micro. Improve stability using DaVinci Resolve 15 Beta on macOS.